A Green Gem – Gary McDonald and Son Inc. 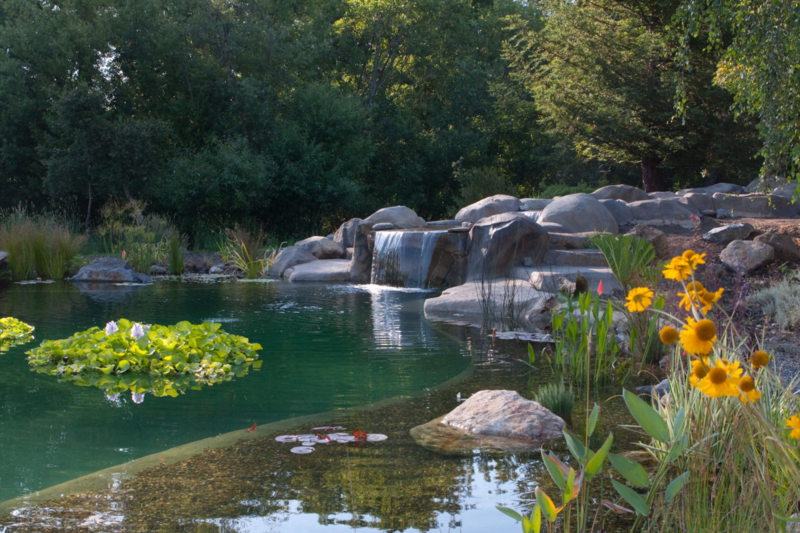 This little gem is in a backyard in Rohnert Park, Ca. 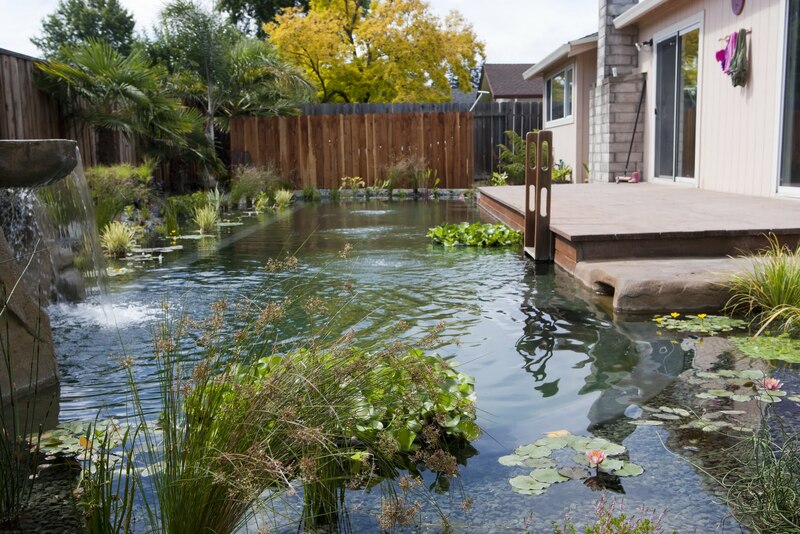 She comes with a waterfall, water plants and a swim area of 40′ long! 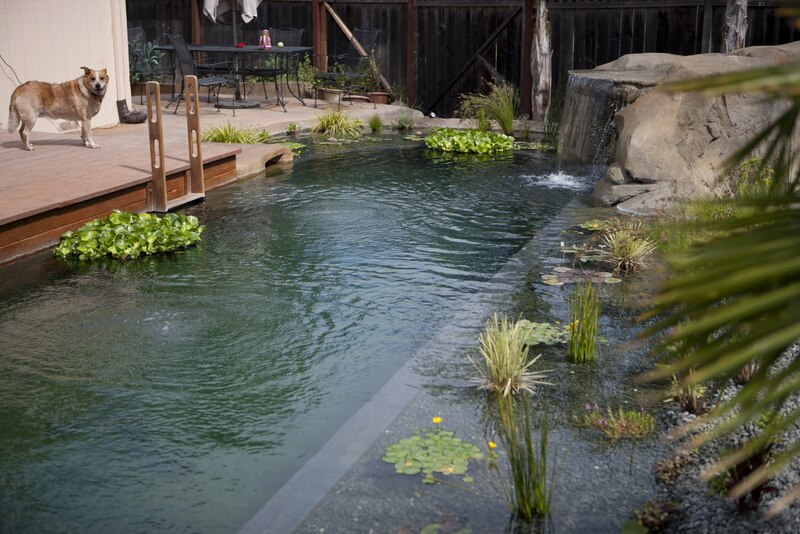 We turned this existing redwood deck into a dock, then added a ladder in the deep end that makes it easier to get out. 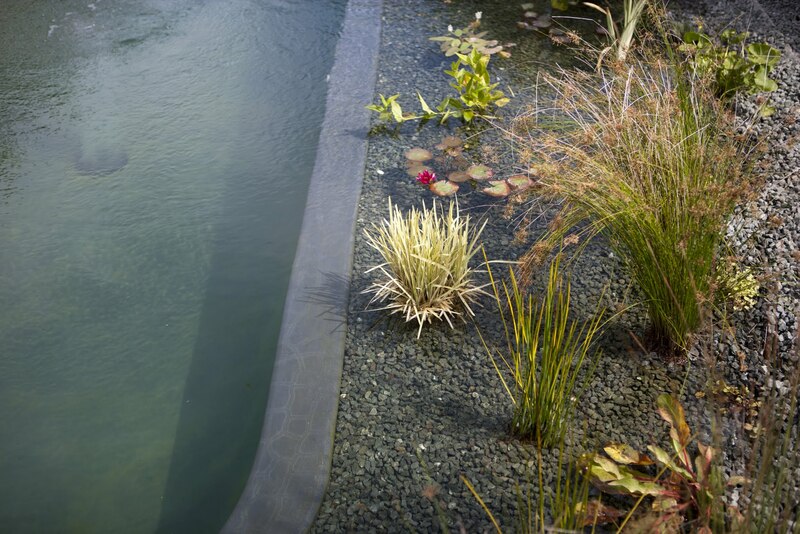 Aeration in the swimming pool allows plenty of oxygen in the pool for the water plants, takes unwanted gasses from the bottom of the pool and pushes them upward, breaking the surface tension of the water and letting them escape into the air. 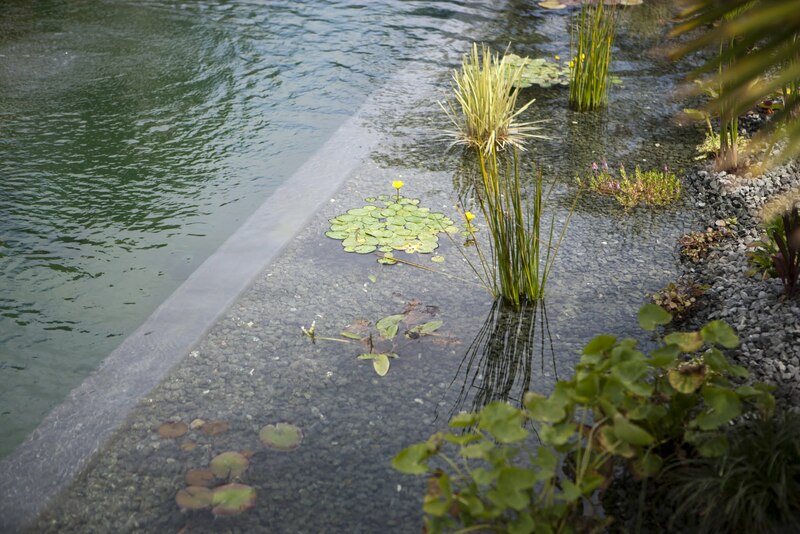 A planted regeneration zone, allows the roots of the water plants to clean the pool water naturally, plus add needed shade and cooling of the shallower water. Nothing beats a “good dog” and a waterfall!